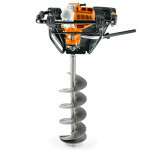 Operability and ergonomics are front of mind in the design and technology of STIHL earth augers and petrol drills. These powerful machines can be used for a wide range of farming, agricultural and industrial projects, and are equipped with everything needed to make them a reliable workmate. attachments including soil looseners and earth augers in different sizes. 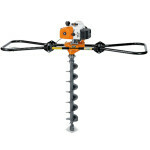 Our hand-held petrol drill comes with a range of accessories, suitable for farming and commercial uses. Please contact us to find out more, or take a look at our safety glasses, gloves and other personal protective equipment. 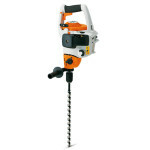 We also specialise in grass trimmers and brushcutters for Geelong DIY-ers and commercial gardeners.